Don’t miss Fully Charged, the all-new surge of circus entertainment from Ringling Bros. and Barnum & Bailey where megawatts of thrills explode off of the arena floor with breathtaking dare-devilry, superhuman stunts and never-before-seen performances that energize Children Of All Ages, and runs Feb. 15-20 at Philips Arena in Atlanta and Feb. 23-26 at Gwinnett Arena in Duluth. Fully Charged celebrates ‘performance power’ that boosts circus-goers’ excitement. 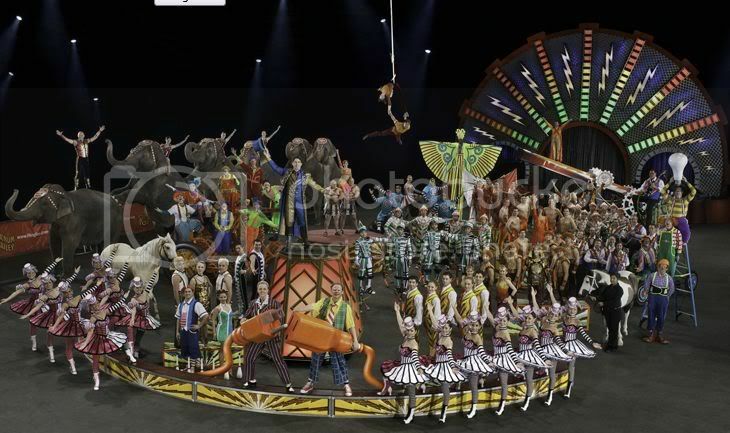 The amazing acts, which can only be seen at The Greatest Show On Earth®, include Tabayara, a dynamic animal trainer whose rare ability to communicate with animals allows him to ride rearing stallions at a fully-charged gallop and orchestrate majestic four-ton Asian elephants in a symphony of dance. When he stands inside a cage, eye to eye with 12 ferocious tigers, Tabayara sees family where others see danger. The fearless Fernandez Brothers dial up the thrills as they perform daring feats of athleticism on the Twin Turbines of Steel, including extreme jumps and twists inside the moving wheels! Audiences will crackle with excitement as they watch Guillermo perform a 360-degree, flying-forward somersault, three stories in the air, a feat so difficult it has only been attempted by one other person in the 141-year history of Ringling Bros. The Human Fuse, Brian Miser, sets the arena sky ablaze as he rockets through the air from his self-made human crossbow. Don’t blink as he flashes across the sky in less than a second, and travels 110 feet at 65 miles per hour. Ever wonder how many clowns it takes to change a light bulb? The hilarious hoopla continues to flow as the clowns from the world-famous Ringling Bros.® Clown Alley, charge up the audiences’ funny bones with hysterical silly antics and clownish comedy. The action at Fully Charged begins an hour before show time at the All Access Power Up Pre-show – FREE to all ticket holders. Get to know the world’s greatest performers, meet some our amazing animals in person, and work to become CircusFit all before the show starts! The All Access Power Up Pre-show is the only place where you can register for a chance to win a pachyderm painting created by one of Ringling Bros. artistic Asian elephants right before audiences’ eyes. You can only experience this current of excitement at Ringling Bros. Fully Charged! Get your tickets for high-voltage fun today! For more information on the circus or tickets please visit www.ringling.com. My family’s favorite part of the show are the animals the high flying acts and the time we get to spend together. We haven’t taken our kids to the circus yet, but I’m guessing the elephants will be the big hit. It’s been a while since we’ve been to the circus. My kids would really love to see it and now that they are older, they would enjoy it better. Would live to win. Our favorite part is the 2 sisters that swing by their hair. My favorite part of the circus is the trapeze act. My kids have never been so they don’t have one yet.